The British Columbia Energy Step Codes are a milestone for energy efficient buildings and climate leadership in British Columbia. In April 2017, the Province of British Columbia adopted the BC Energy Step Code as regulation. The new standard is a tool designed to help both government and industry chart a course to a future in which all new construction across the province is “net-zero energy ready” by 2032 and to support their energy conservation and greenhouse gas reduction goals. 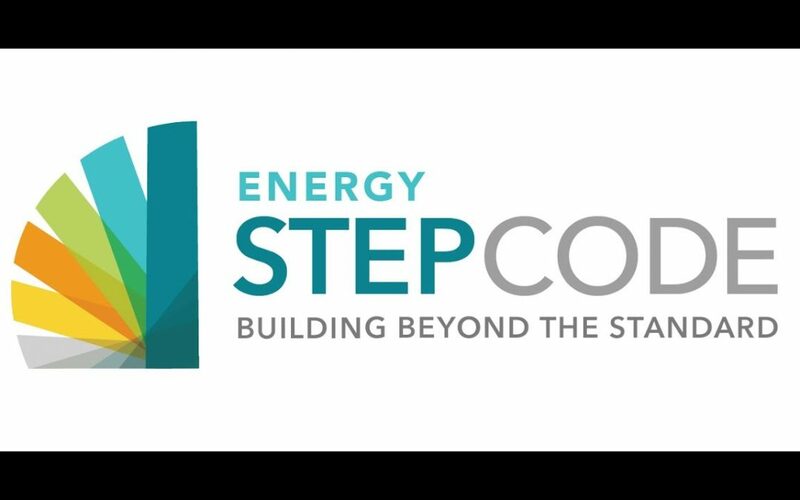 The BC Energy Step Code is a provincial standard that provides an incremental approach to achieving more energy-efficient buildings that go beyond the requirements of the base BC Building Code. This new standard is a vital measure to enable BC to meet the Provincial goal to construct net-zero energy ready buildings by 2032. It does so by establishing a series of measurable, performance-based energy-efficiency requirements for construction that communities may choose to adopt when ready. Cities (other than Vancouver) may begin enforcing requirements as of December 15, 2017. By 2032, the BC Building Code will move towards the higher steps of the BC Energy Step Code as a minimum requirement. How do the Steps Work? To achieve the Lower Steps, building and design professionals can rely on conventional building designs with careful air-sealing practices, and incrementally incorporate some key elements in the design, building envelope, and equipment and systems. To achieve the Upper Steps, builders and designers will need to adopt a more integrated approach to building design and may need to incorporate more substantial changes. Industry will be able to appreciate a new level of consistency in the market and predictability throughout the province as we move to net-zero energy ready by 2032. It will also create new opportunities and skilled jobs in Canada’s clean growth economy. By 2032 all new buildings will be net-zero energy ready as the minimum code. The Step Codes are contributing to a growing national effort to dramatically reduce energy demand in buildings across the country.